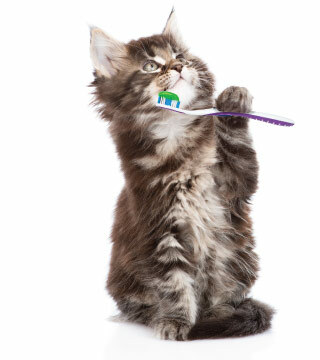 The cost of cat tooth extraction is based on the type of procedure performed, and may include hospitalization, anesthesia, pain medication, x-rays and surgical supplies. We endeavor to give a treatment plan and go over any associated cost with any dental procedure we recommend. However, because a thorough assessment cannot be done until an exam under anesthesia, there is a range of cost given on the treatment plan. Of course, it's best to always take preventive measures to avoid surgeries and cat tooth extraction procedures.